One day we realized it. We evolved. Changed. Grew up. 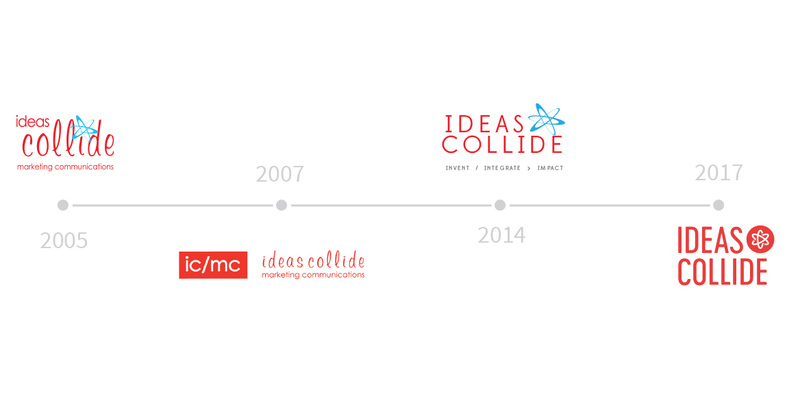 And because we evolved, we needed to make sure our visual brand evolved with us to keep telling our story. 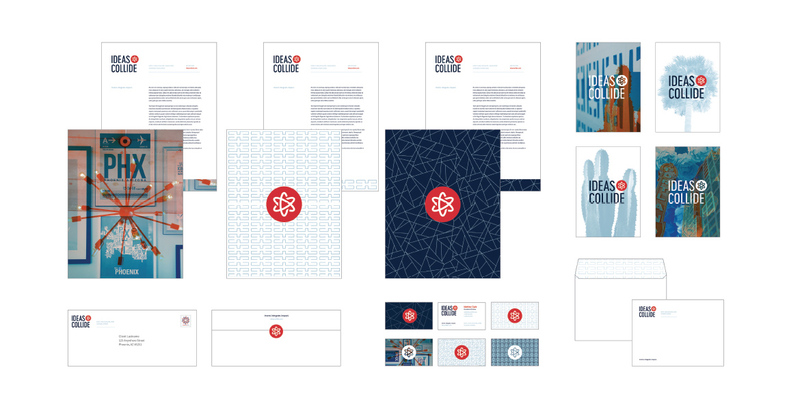 For simplicity purposes, we rallied around one point: our brand exists to reflect and communicate who we are–a collective short-hand experience to signal what we are all about with a spritz of what we are striving to become for good measure. 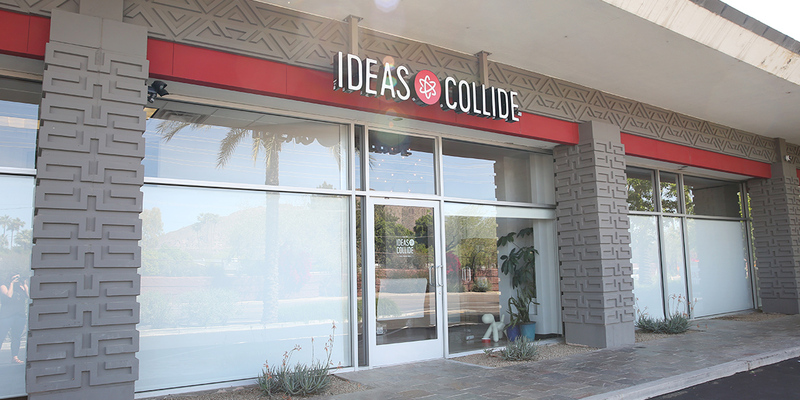 At our core was still creativity, collaboration, giving back to the community and a focus on our team and clients, but we needed a way to signal that we had more to offer, more expertise, more experience, more talent — all built on a foundation of innovation and experience. We had to keep the core, but refine it. We’d had the beloved atom since the beginning and we felt it was still the best representation of the energy and passion of the agency. But, it needed refinement, balance. Subtle curves in the type face gave us the balance between boldness, sophistication while keeping our symbol of energy and passion front and center. The color palette changed to a richer blue, more muted red, an emphasis on cooler tones, and an added tertiary gold. 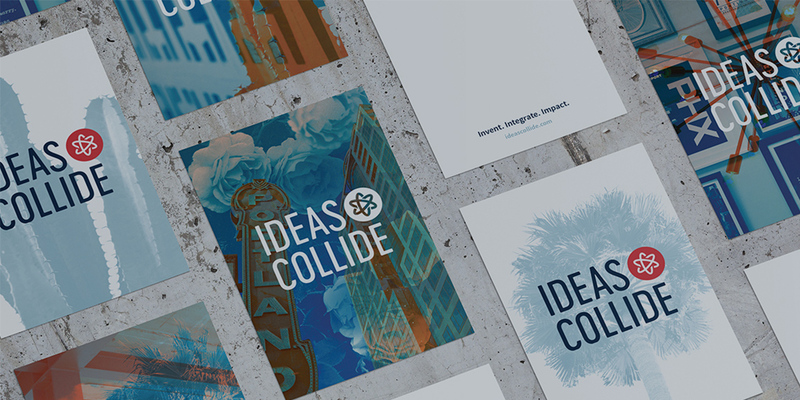 The Ideas Collide visual brand evolves with us. 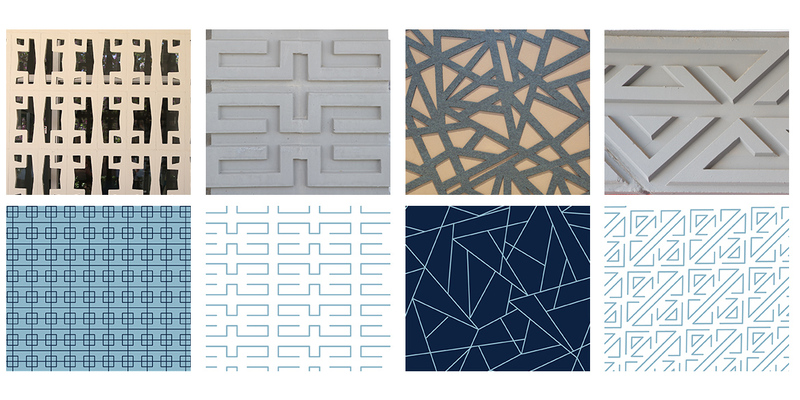 The other brand elements come from inspiration of patterns that surround us from our building–a mid-century structure with history—and our locations in Phoenix and Portland. 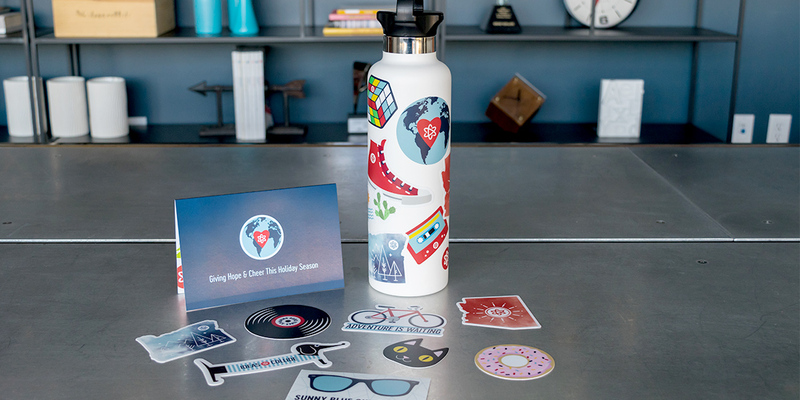 We love our new look. We think it fits us well.